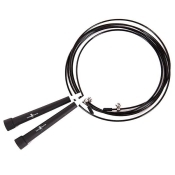 Buy this skipping rope online and enjoy new athletic opportunities: Here you are immediately on the go! The Hoopomania Large Hoop brings you into the swing with its 96 integrated magnets, a diameter of 107 centimeters and a relatively heavy, yet balanced weight of 1.8 kg. Thus, the Large Hoop is wider than other Hula Hoop models. Through a denser arrangement of the magnetic massage balls, the offered massage effect is even more potent, balanced and stimulating. 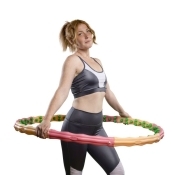 The innovative air cushioning system by means of the elastic silicone nubs also prevents this Hula Hoop from slipping from the hip and abdominal area during your workout. The new Hoopomania Large Hoop is your reliable fitness partner that you may easily store under the bed or in a closet. 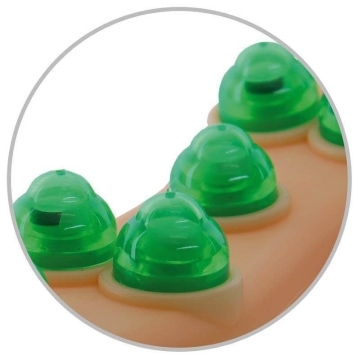 Through the One Click system, you can quickly disassemble it for transport in its 8 parts. Also when traveling, this tire always accompanies you as a flexible Travel Hoop. The medical effectiveness of magnetic fields is greatly appreciated in the field of naturopathic health practice. The 96 integrated magnets create an effective magnetic field during the workout. This magnetic field supports your body and mind with invisible energetic forces. 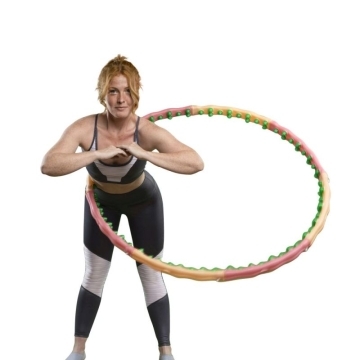 Working out with the Hula Hoop may sound simplistic, but it provides a very effective way of sport: Hooping is a wonderful way to lose weight, strengthen the back muscles and tone the abdomen. If you begin the workout with the Hoopomania Large Hoop, do yourself and your body a favour and take it slowly: Less is often more and 5 minutes of exercise per day are a good way to start. Through the massage effect, bruises may occur on the abdomen in people with a tendency to it. 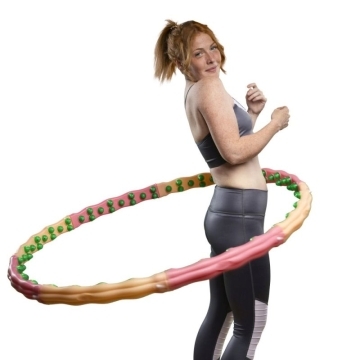 For prevention, you may put on the Hoopomania shapewear belt at the beginning of the Hula Hoop workout. If you have mastered the technique once, initial bruises will no more appear.